Aqua Pools Online > About > Blog > What Ailments are hot tubs good for? Every week it seems like someone has found a new “cure” for something. The claims related to the healing power of hot tubs might seem like they could fall into the fad category. Hot tubs have almost risen to miracle cure status. We concede that they may not actually be “the miracle cure”, but they do have a pretty impressive resume when it comes to easing the symptoms of many illnesses and improving your overall health. The best part is that there is actually a ton of research that supports the claims of health improvement, in addition to the countless numbers of personal testimonies. So what ailments can a hot tub help with? We can’t cover them all or we would be here all day, but check out this list of some of the major ailments that a hot tub can help ease. For many who suffer from the painful effects of arthritis, a hot tub can work wonders. Hot water therapy has been used for years to ease pains from arthritis. Our ancestors used hot water therapy simply because it made them feel better. Now we know that research actually supports their method. The hot water makes the joints looser and reduces pain. The best part is these effects last long after you get out of the water. Providing relief for several hours and with daily soaking you may even experience long term results. Not much is fully understood about fibromyalgia, but most agree that they can experience relief from their symptoms with daily hot tub use. The warm water helps to ease the aches and pains that you suffer. Soaking shortly before bed puts your body in a relaxed state and actually alters your body temperature setting you up for more restful sleep. The results for fibromyalgia sufferers is so great that a review published in 2008 from Rheumatology International confirmed that hydrotherapy is a strong candidate for managing Fibromyalgia symptoms. Some studies are indicating that hot tub use can also be effective in helping to improve the health of diabetics. The hot water causes the blood vessels to open allowing more nutrient-rich blood to reach your muscles. The increased blood flow helps the body process glucose more efficiently. Some patients in the study even saw lower blood sugar levels. This is certainly not an alternative method for controlling your levels, but can be a helpful addition to your regular medication. Diabetics should consult their doctor and use caution when it comes to hot tub use, because there could also be some risk factors for those with diabetes. Another very popular use for hot tubs is to help heal and prevent sports injuries. When you play a sport or even just workout for any length of time you are bound to experience some kind of sports injury. A hot tub increases blood flow to injured areas to promote healing. The muscle relaxation that you get from soaking is also beneficial for sports injuries. The majority of people in the United States have experienced some sort of insomnia or inability to sleep at some point in their life. A hot tub is a great tool for getting your body ready to sleep. Hot tubs increase the production of “feel good” hormones in the body. This creates that relaxing, almost euphoric, result that you feel after spending time in your hot tub. Soaking about 20 minutes before bed also helps to alter your body temperature so your body feels ready to rest. Initially the hot tub will increase your body temperature, but when you get out of the high heat your body temperature will quickly decline, putting your body at an ideal temperature for sleep. These are just a few of the numerous ailments that see improved results from regular hot tub use. If you are ready to kick some of your ailments to the curb, come see us at Aqua Pools. 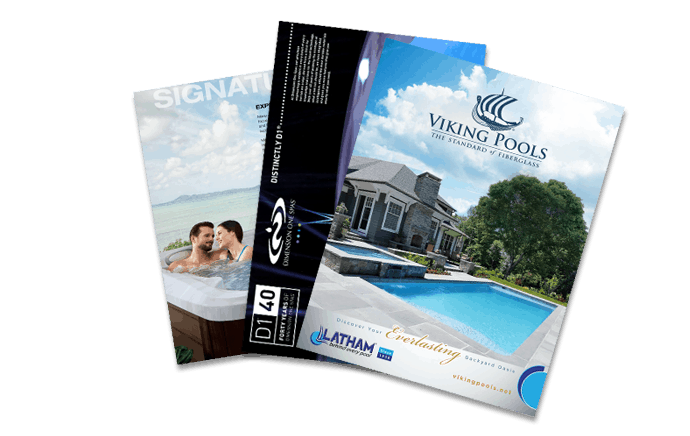 We carry hot tubs to fit every taste and budget. We are sure to be able to find a hot tub that will meet your needs so you can start to enjoy the healing benefits right away.